The first is one that's been on the back burner for some time now. Earlier this year DD2 said she'd like fingerless mittens and a matching cowl. The mitts were no problem, and she was able to wear them a few weeks later in March. Unfortunately, the cowl has been another story. and it's grown by about 4"! Two probs - the first is, it's really boooorrrrrrrrriiiiiiiinnnnnnnnnngggggggggggggg!!!!!!!! My previous ripple attempt was a multi-coloured baby blanket (the blanket, not the baby!) so I was encouraged by the frequently changing yarns. The second is, I've decided it's too wide but am at the stage where I can't bear to rip it out and start again, so need to persevere to the very bitter end. 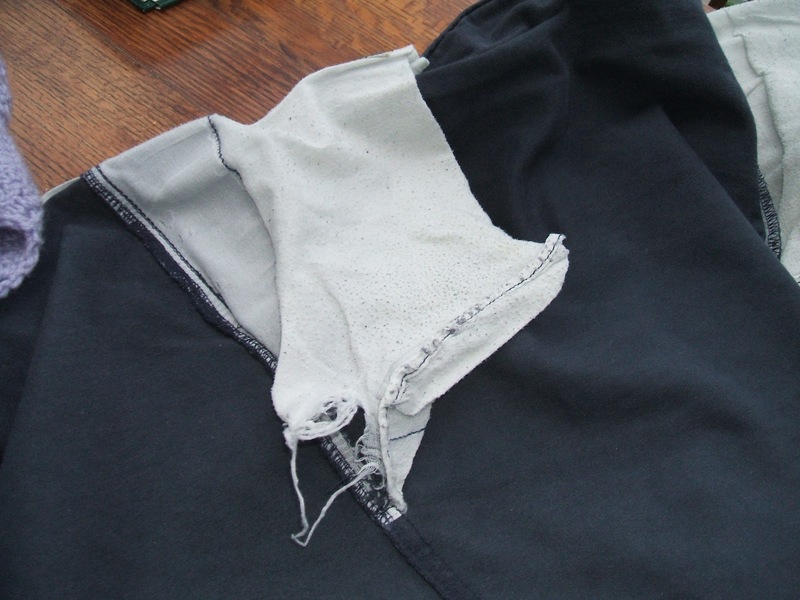 The second labour of love is new pockets for DH's 'at home' trousers. Given his request (see previous post) for no flowers or frills on his pencil case, I'm tempted to put daisy or teddy fabric in as pockets (just not sure he'd appreciate the humour, and I wouldn't want to do the job twice!) Some more thought required here as it's not as straightforward as I'd hoped. Posting this over on http://stamping-ground.blogspot.co.uk/2012/10/woyww-176-really-176.html Put your feet up with a cuppa, if you've time, and have a nosey at what everyone else is up to. Your family really keep your fingers busy don't they? The mits are just phenomenal..I love the design of them...clever you! The mitts are great! 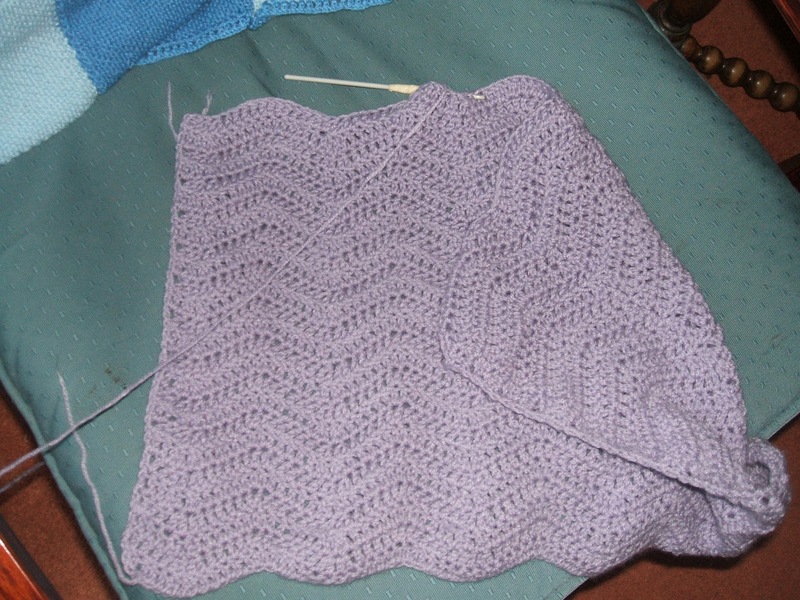 That is what I like about crochet--you can just rip out if your are not satisfied. I am working on some scarves to sell. Really easy patterns with yarn held double and large hook. Quick and easy. Wonderful crochet! I'm a knitter and really haven't challenged myself to make patterns. I'm ready to expand! 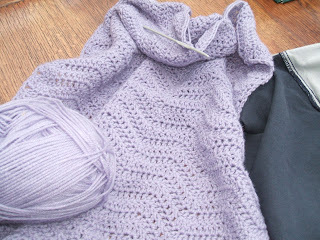 My problem is I have a hard time remembering where I am in my knitting...... yikes. The cowl will be great, even though it's wider than what you want. She can fasten it closer to her neck with a favorite pin (just an idea). 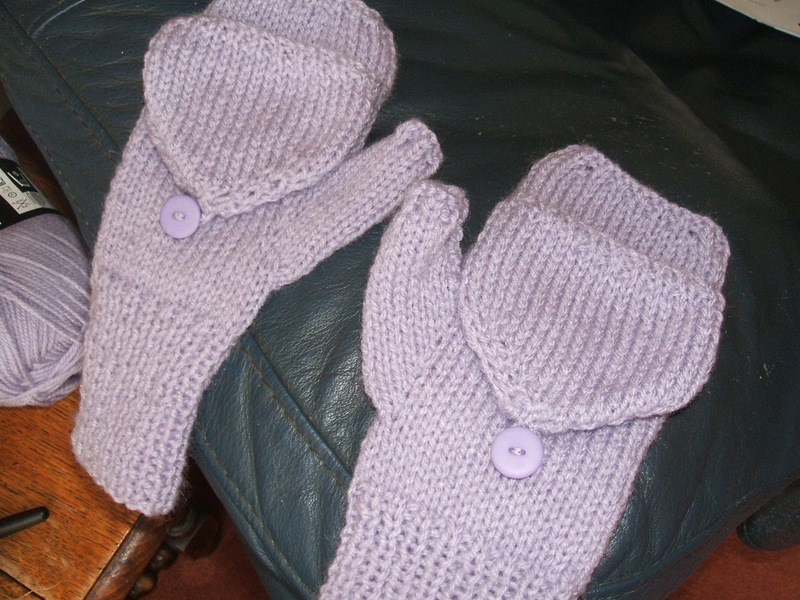 Love the things you are making, the mits look so warming, they remind me of my Mum who would knit mits and socks around Christmas time. Love your possibility of putting fun fabric in hubbies trouser pockets, what a scream. Thanks for sharing your creative pieces. Happy WOYWW and have a great end to the week. Oh I can see your innocent face telling your Dh that you simpy didn't have any other fabric to use...go on, dare ya!! Chris, I DO want a cuppa, how did you know? And I think you should go with the teddy bear fabric . . .
Gorgeous mittens... and I'm sure the cowl is worth persevering with - I love a good snood (no, that's not snooze, though those are pretty good too!). I agree with Trisha - I think the teddy bear fabric would be hilarious, but then if he might not see the funny side... Belated happy WOYWW!